This is making us even more stoked for the Maine’s festival. 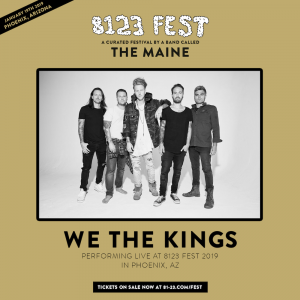 The Maine’s 8123 Fest just keeps getting better and better. The band hinted at the second edition of the festival at the start of this year and confirmed it earlier this summer. We know the event takes place over three days—January 18, 19 and 20, 2019—in Phoenix, Arizona, but they have been pretty mum on the lineup until now. On Jan. 18, the Maine will perform a set curated by fans at the Van Buren. More information regarding the voting process will be released closer to the show. On Jan. 19, the official 8123 Fest kicks off at Civic Space Park. 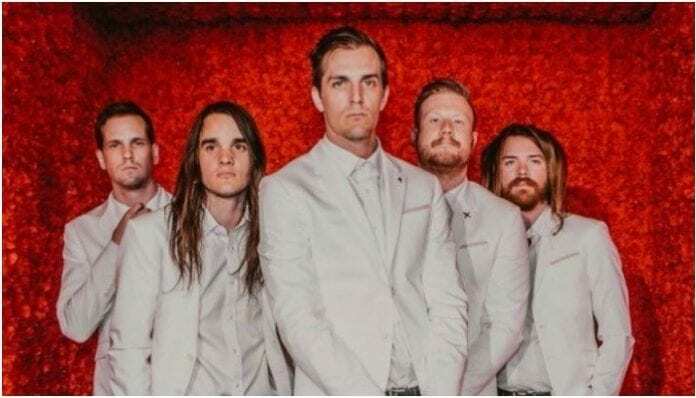 The Maine will celebrate Can’t Stop, Won’t Stop’s 10-year anniversary by performing it in its entirety along with other tracks from their discography. This performance marks the only time the Maine will play their debut album in full for the anniversary. Today, the band announced We The Kings will be among the acts to play the festival. There will also be a Make America Emo Again after party hosted at the Van Buren on Jan. 19. This Century were previously announced for a special side show on Jan. 20. The band will perform Sound Of Fire in its entirety along with other tracks from their catalog. Sound Of Fire was released in 2011, and it was This Century’s debut full-length. Special guests for this show are still to be announced. The full 8123 Fest lineup will be announced Nov. 1. The festival will be held Jan. 18–20 in Phoenix, Arizona, and tickets are available now. Previous articleIs there a Panic! At The Disco reference on ‘Venom’ soundtrack?